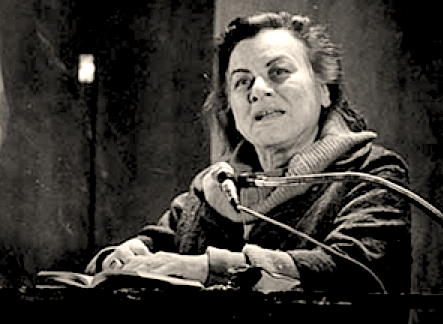 PoemTalk 78: on Muriel Rukeyser's "Ballad of Orange and Grape"
Today we released the seventy-eight episode in the PoemTalk Podcast series, which is focused on the poem "Ballad of Orange and Grape" by Muriel Rukeyser, taken from a 1977 LP release of a reading at New York City's 92nd Street Y. For this program, host Al Filreis was joined by a panel that included Amy King, David Abel, and Mytili Jagannathan. In a post on the PoemTalk blog, Filreis gives some context for "Ballad of Orange and Grape," using information from Rukeyser's introduction to another performance of the poem (at the University of Warwick, England, in 1971): "the speaker is the poet (initially self-addressed in the second person, later 'I'), having finished her day's work as a teacher of writing in East Harlem; she ponders returning home (thus we know she does not live locally — comes to teach in Harlem as an outsider), but delays her departure by stopping at a streetside hot dog stand, where she observes a vendor pouring orange soda into the container marked 'grape' and grape soda into 'orange.' This, as Amy King notes, is an arbitrary binarism, so what is wrong with the vendor's indifference to the labels? 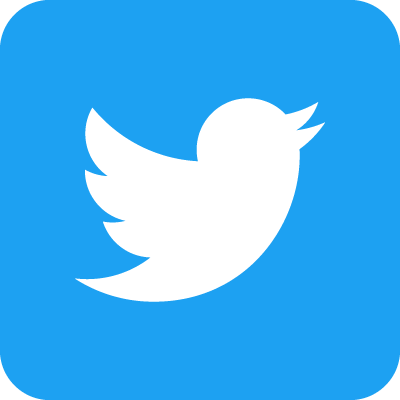 This disjunction prompts the poet to consider a litany of binarism about which it has seemed difficult to be indifferent. Finally, Rukeyser wonders whether the resistance to such binaristic thinking has the power to alter her writing pedagogy. 'How are we going to believe what we read and what we write and we / hear and we say and we do?'" You can read the rest of his introduction on Jacket2. 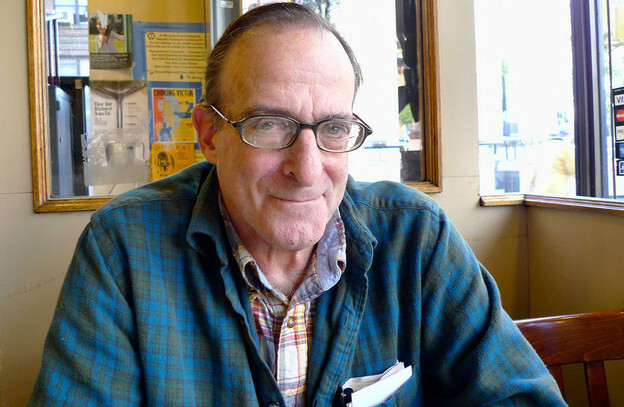 We recently created a new author page for the late New Mexico poet Gene Frumkin, which is home to a pair of vintage recordings from the 1990s. 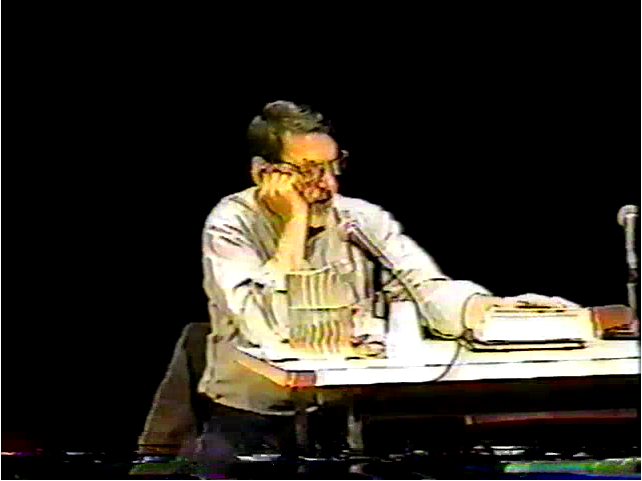 First up, there's a September 1991 reading from SUNY-Buffalo as part of the Wednesdays @ 4 Plus series, in which Frumkin reads excerpts from the preface to his 1990 collection, Comma in the Ear, followed by two long poems from that volume: "Outnumbering Any One Way" and "Stray Formulations." Robert Creeley offers a historically notable introduction to this set in which he announces the formal incorporation of the legendary Poetics Program, for which Frumkin was the inaugural guest reader. That's followed by a February 1993 reading with Mary Higgins as part of the Tangents reading series in Albuquerque, New Mexico — again the inaugural reading in this series — that includes selections from the longform series, "History Biography," and runs for nearly fifty minutes. We've also added a link to a 2008 recording of Nathaniel Tarn reading his poem "Cibola, or the Cities of Gold," which is dedicated to Frumkin, in Albuquerque. To listen to any of the aforementioned recordings, click on the title above to be taken to PennSound's Gene Frumkin author page. We're very excited to present audio and video from Robert Creeley's 70th birthday celebration at SUNY-Buffalo, which took place on October 11–12, 1996, and featured an all-star roster of authors paying tribute to the beloved poet. Day one of the celebration commenced with a ninety-minute afternoon session on the 11th at UB's Katharine Cornell Theatre, which started with introductions by organizer Charles Bernstein and UB President William Greiner, followed by a reading by Gilbert Sorrentino (introduced by Joseph Conte). Finally, Creeley took the stage, speaking for fifteen minutes before reading "Dogs of Auckland." The evening program consisted of a longer set by Creeley, who was introduced by Susan Howe. His reading included excerpts from the introduction to Mabel: a Story and "Four More" from that volume, followed by "Histoire de Florida." Afterwards, Creeley, Bernstein, and Jim Dine engaged in an hour-long conversation, and both this talk and the earlier reading are available in both audio and video format. Finally, the next day, John Ashbery gave a reading, introduced by Susan Schultz, which included the titles "A Waking Dream," "Debit Night," "Baltimore," "Last Night I Dreamed I Was In Bucharest," "Added Poignancy," and "Moderately," among others. Video of this set is provided alongside segmented MP3s as well. You can listen to and view the recordings of the first day's events here, while the Ashbery reading can be found here. In Wednesday's note on the new recordings from Robert Creeley's 70th birthday celebration, we included a link to one of our newest author pages — for artist and poet Jim Dine — however, we wanted to make sure that this page got its fair share of attention with its own PennSound Daily entry. Including the Creeley tribute, there are recordings from four separate events on our Jim Dine author page. The longest of these is a September 2005 Segue Series reading from the Bowery Poetry Club, containing seventeen poems in total, including "From the Diary of a Non-Deflector," "I Wish All My Flowers Were Named Jesse Horowitz," "My Nose Goes Vibrating Down the Street," "Silver Printing: The Dance of Photography," "George Bush Poem," and "When Creeley Met Pep." That's followed by a December 2013 performance of Jewish Fate with accompaniment by Marc Marder on double bass, and a February 2014 reading in Paris that features eight titles, including "I Ran Into Him," "The Downfall of Your Eyes," "Peroxide," and "The Bartok Poem," among others. Over on the Cuneiform website, Kyle Schlesinger — who'll be publishing Poems to Work On: The Collected Poems of Jim Dine in the near future — has written a lovely note on his own relationship to Dine's work, which ends with a link back to our Dine page, along with the recommendation that his readers "log out of facebook, and kick back by the stereo with a tall glass of something or other, and check out Jim's poems." If you won't take our word for it, then I hope you'll take Kyle's! Charles Bernstein has launched the latest episodes in his long-running series, Close Listening, and this time around the subject is poet Miles Champion. Bernstein announced the new programs in a Jacket2 commentary post as follows: "Miles Champion grew up in England and moved to the U.S. in his early 30s. His books include Compositional Bonbons Placate, Sore Models, Three Bell Zero, and, just out from Pressed Wafer, How I Became a Painter: Trevor Winkfield in Conversation with Miles Champion. He lives in Brooklyn, NY. 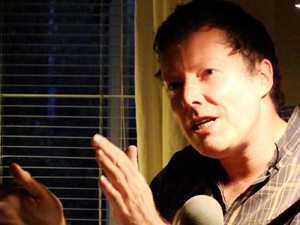 On this show, Miles reads his new book, How to Laugh, which is forthcoming from Adventures in Poetry." In the second half of the program, Champion and Bernstein discuss a wide array of topics, beginning with a discussion of How to Laugh itself, its forms, structures, appropriations, and inspirations. Kelly Writers House Director Jessica Lowenthal recently discovered DAT tapes for a very exciting event hosted at KWH in the spring of 2001, which have been missing for more than a dozen years. Dubbed "Un-American Poetry," this reading — which featured sets from Ammiel Alcalay, Ben Hollander, and Murat Nemet-Nejat — originally took place on March 22, 2001, and was described as such in the KWH calendar: "An evening of UN-AMERICAN POETRY at the Writers House. A conversation about writing, translation, globalization, politics in the Middle East, the foreign poet's relation to language, the foreigner's relation to nation, contemporary American, Israeli, Turkish and Bosnian poetry, and more." After brief sets of fifteen to twenty minutes from each poet there's a lengthy discussion between the poets and audience members. You can listen to this long-lost recording by clicking on the title above to be taken to our Un-American Poetry event page. We recently put together a new author page for poet and translator, David Rattray, who died at the age of 57 in 1993 after a battle with brain cancer. On this page you'll find readings that highlight Rattray's diverse talents, beginning with a February 1992 event at NYC's Granary Books featuring a generous selection of translations from Black Mirror: The Selected Poems of Roger Gilbert-Lecomte (Barrytown/Station Hill, 1996). That's followed by two December 1990 readings celebrating the release of Rattray's sole volume of his own poetry, Opening the Eyelid (Diwan, 1990) — the first at Mona's in the East Village, the second at the St. Mark's Poetry Project — which total more than an hour in length. Moving backwards, we have four more recordings of considerable length (each running 30-40 minutes) from in and around NYC in the early-to-mid 1980s: a 1987 set from the Bridge Bookshop, 1986 readings from the Tompkins Square Library and the Neither Nor Series, and finally, a 1984 Segue Series Reading from the series' original home, the Ear Inn. Given the recent resurgence in interest in Rattray's work — cf. last spring's tribute events at the Poetry Project — and the relative unavailability of his poetry, we're very happy to be able to share this treasure trove of recordings with our listeners. PoemTalk 79: on Joanne Kyger's "It's Been a Long Time: Notes from the Revolution"
As summer chugs along we've got another new episode in the PoemTalk Podcast series for your listening pleasure. Program #79, released today, focuses on Joanne Kyger's poem "It's Been a Long Time: Notes from the Revolution," with a panel of Julia Bloch, Pattie McCarthy, and Stephen Ratcliffe joining host Al Filreis. 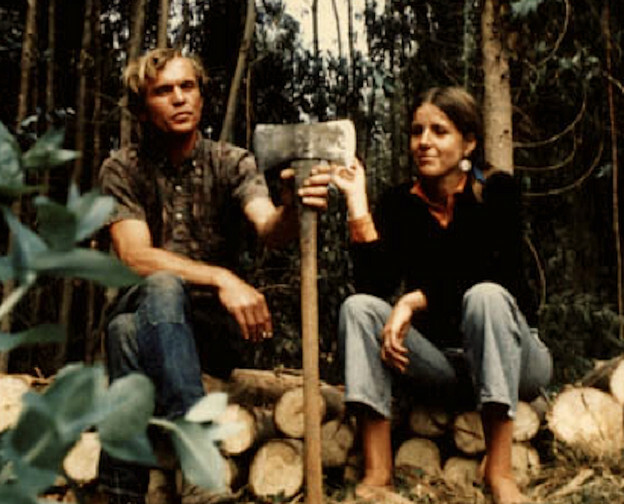 In a post on the PoemTalk blog, Filreis gives some context for the poem, which he describes as "part of — and also a collage of voices from — the Bolinas (California) poetic counterculture of the early 1970s." He continues, "Steve Ratcliffe, who spoke at length with Joanne Kyger before traveling east to join us for this conversation, is able to confirm some of those details, as it is apparent that the poet was listening intently to the 'company' or community of — and the very rhythms of — the 'other beats' around her. And so the poem carries forward the ambivalence of this poetic community about the machine and its relation to the making of the poem, and about the efficacy of chanting, and about the importance, or possible irony, of 'the vibe' as a empyrean, communitarian and anti-imperial source of a new music." You can read the rest of his introduction on Jacket2. 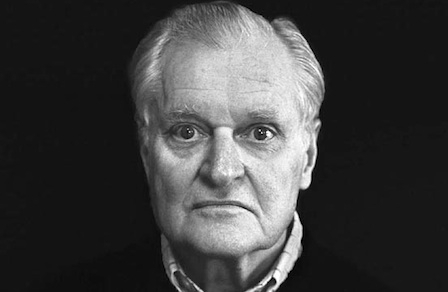 All of us at PennSound send birthday greetings to John Ashbery, a living legend of American poetry, who turns 87 today. There's no better way to celebrate than taking a spin through our Ashbery author page and listening to a few tracks amongst the hundreds of recordings that you'll find there, from readings to interviews, radio programs, and plays. Our archives start in February 1951 and run pretty continuously through seven decades up to recordings from last year. 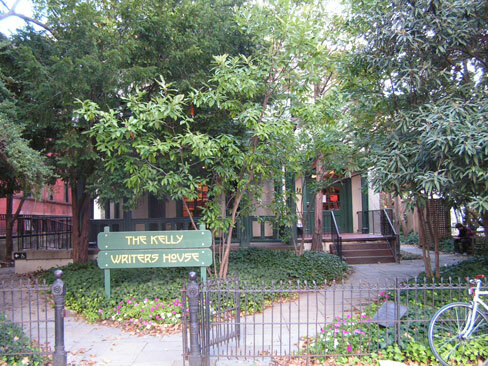 One great starting point is with the poet's two visits as Kelly Writers House fellow in 2002 and 2013. Meanwhile, over at Jacket2, our own Charles Bernstein has posted a birthday tribute of sorts, entitled "87 Words for John Ashbery at 87" that you'll want to check out as well. In the fall of 1978, Ted Greenwald (shown at right) and Charles Bernstein famously founded the Segue Reading Series at the Ear Inn — the first of several home bases for a groundbreaking series that continues to thrive to this day. At the same time, Greenwald was also organizing a second reading series with equally formidable talent, at the Droll/Kolbert Gallery. Today, we're highlighting a new series page housing recordings from those readings. Altogether, we have nine recordings of events that took place between November 1978 and January 1980, with most sets lasting approximately 30–40 minutes. From earliest to latest, the readers were Lorenzo Thomas, Ron Padgett, Paul Violi, Michael Brownstein, Jim Brodey, Steve Katz, Charles Bernstein, Maureen Owen, and Charles North. You can start exploring this historic series by clicking on the title above.